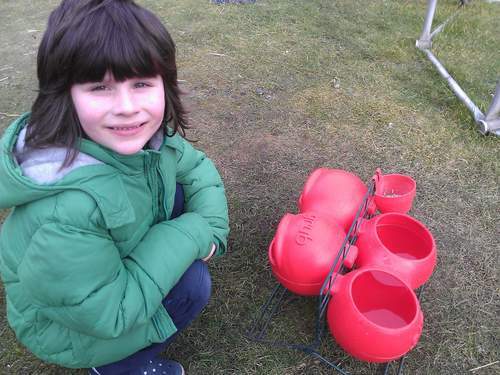 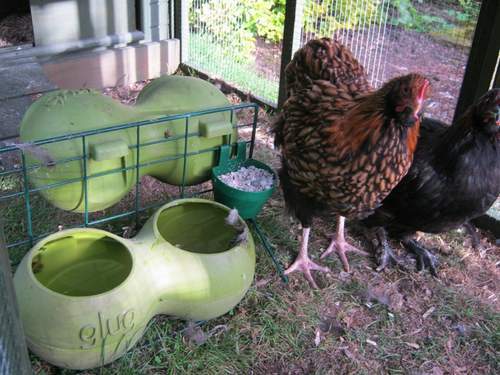 Don't have an Eglu run but want to treat your chickens to the finest feeders and drinkers in town? 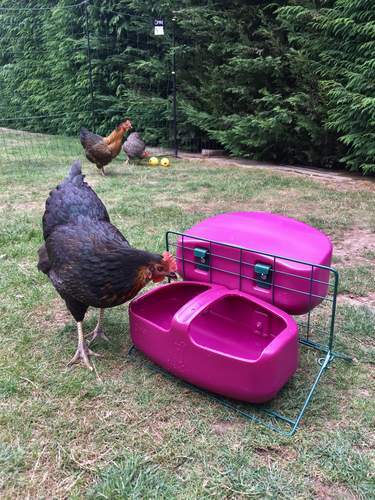 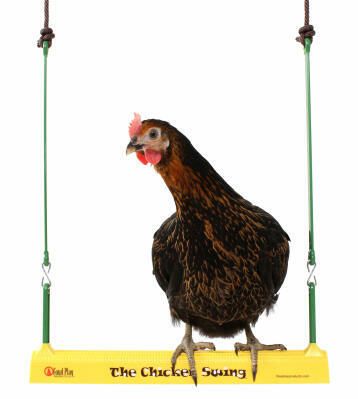 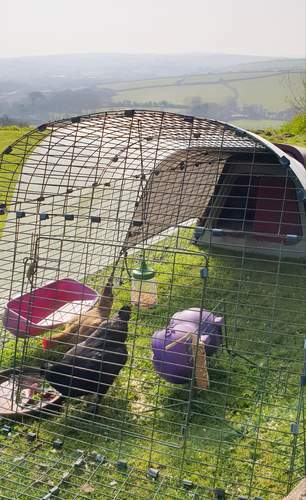 With this specially designed stand you can use the popular glug and grub in any run, enclosure, or chicken shed, making your hens very happy indeed. 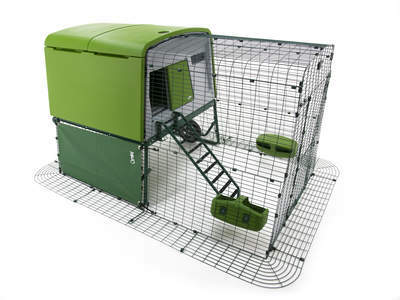 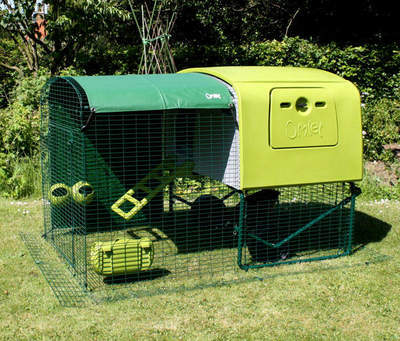 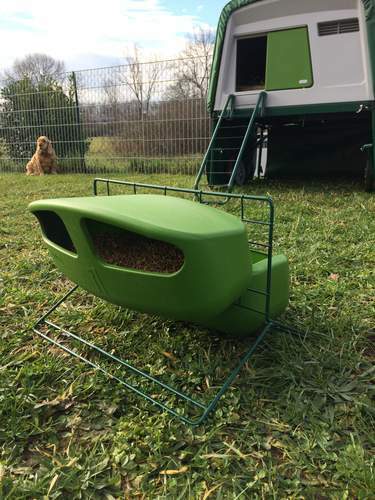 Made from the same green, plastic coated steel weld mesh as the Eglu run, this feeder and drinker stand gives the ability to place your glug and grub in different positions, however you choose. 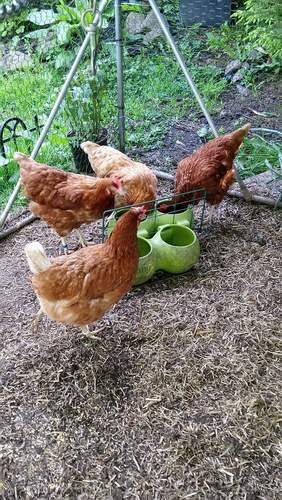 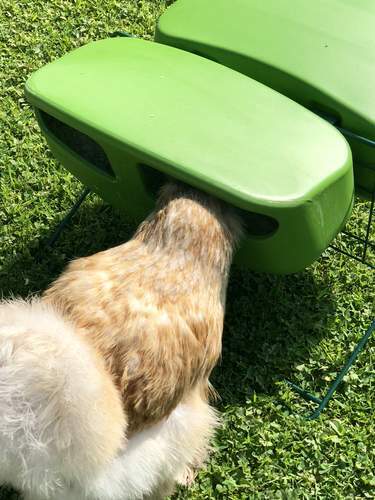 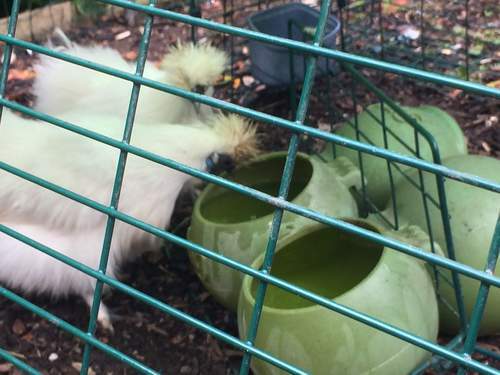 Hang the glug at a higher level to stop chickens standing in it and making it dirty, hang the grub lower down to allow hens easy access to their food, or choose to keep them both on the lowest level if you have smaller birds such as bantams. 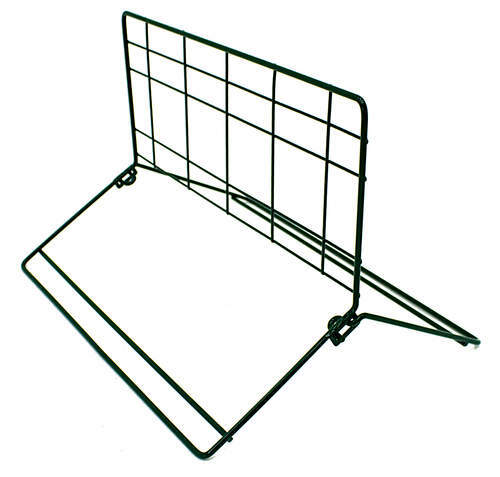 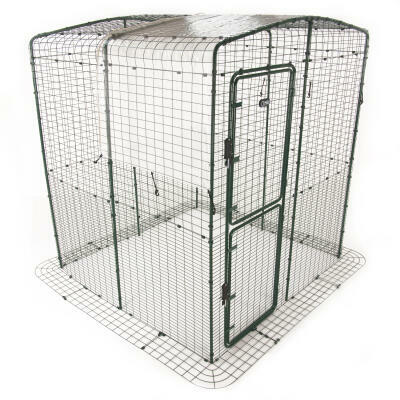 If you have a lot of chickens you can place a number of these stands with feeders around for them to choose from, or if you need to separate your hens for any reason this also comes in very hendy. 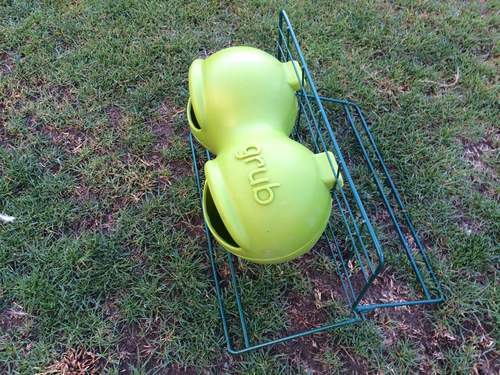 Already the proud owner of a glug and grub? 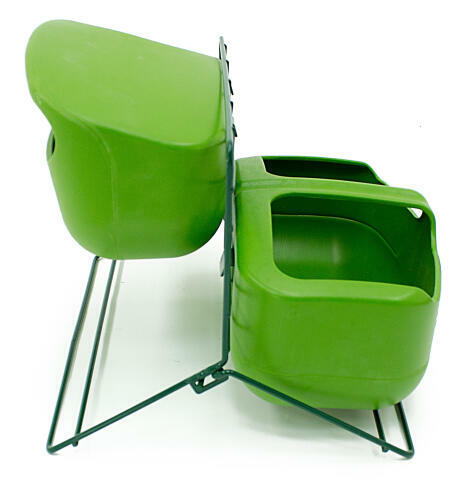 You can buy the stand on its own, but if you haven't yet eggsperienced the joys of our favourite feeder and drinker we also offer the stand as a package with the grub and glug in all colours for your convenience, and it's cheaper than buying the product separately. 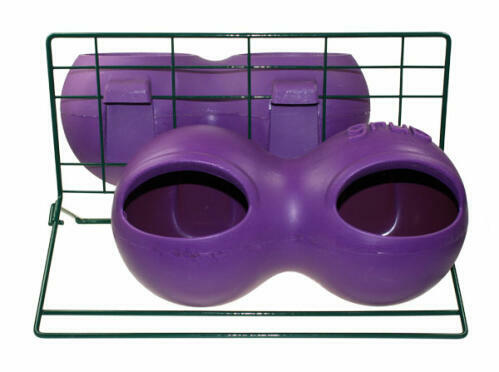 And don't forget that our feeders and drinkers have a large capacity, are dishwashable and reduce mess and spillages...what more could you ask for? 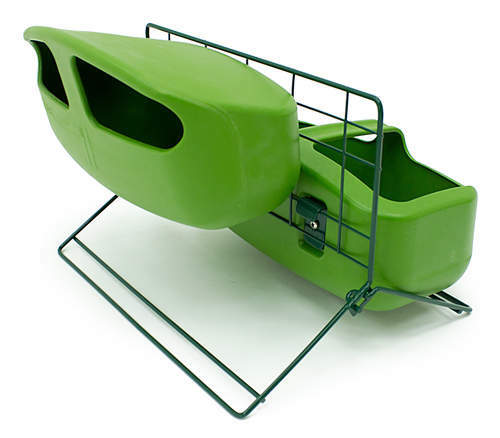 This stand is compatible with the Glug, Grub and Super Glug. 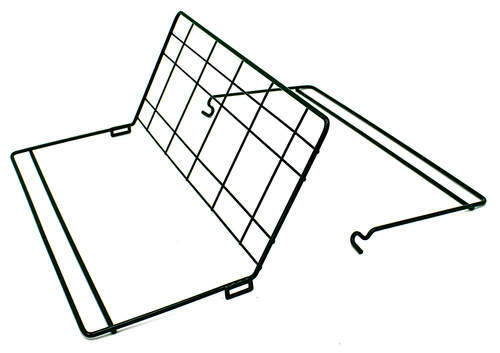 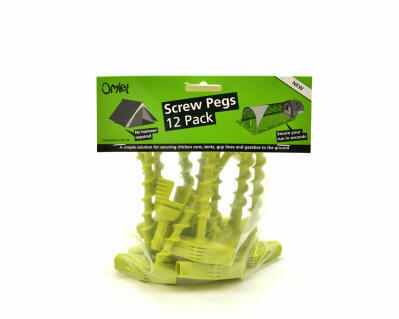 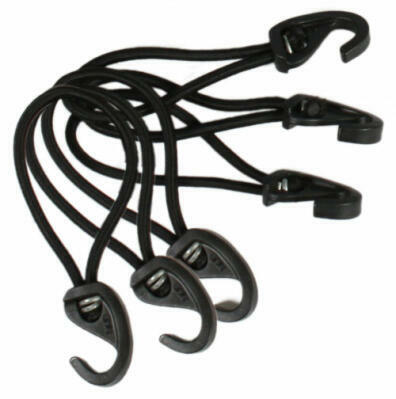 Please note: The stand will arrive in two parts and they simply need to be slotted together.